One of the requests we have been getting lately from some of our readers has been to provide more simple and easy to understand photography techniques. So far this year we have covered a lot of complex topics that are for more advanced users, thanks to such new fine tools as the Nikon D800. So for the remainder of the year, we decided to focus on photography basics again, covering simple and basic techniques and tips for beginners. In this article, I will go over the focus and recompose technique, which can be quite useful when photographing in various environments – whether shooting in low-light situations, or composing your shots with the subject in the corner of the frame. I personally use this technique quite a bit in event photography and it saved me a number of times when the light conditions were extremely poor and my camera could not properly focus. Before I talk about this technique, let me first explain what the word “recompose” stands for in photography. When you take a picture, you carefully frame your shot and place your subject somewhere in the frame before you take a picture. In other words, you compose the shot. Recomposing simply means framing your shot first (for example to acquire focus), then moving your camera to re-position your subject somewhere else in the frame. For example, let’s say you started off by placing the subject in the center of the frame and focusing on the subject’s eyes. Instead of having a boring shot with your subject in the dead center, you could place the subject a little to the side and end up with a much better composition. In other words, you are recomposing your shot. 2) Why the Need to Recompose? The subject is tack sharp. I had to manually pre-focus on my subject with the center focus point with the help of the camera’s AF assist beam (no other focus point could get accurate focus), then I fired a flash behind the subject with a blue gel to get the above effect. So for these kinds of situations, being able to first focus and then recompose your shots can make a huge difference. If the technique is done right, you do not have to worry about too much post-processing and cropping just to get a better composition – you can do it right using your camera and this technique. 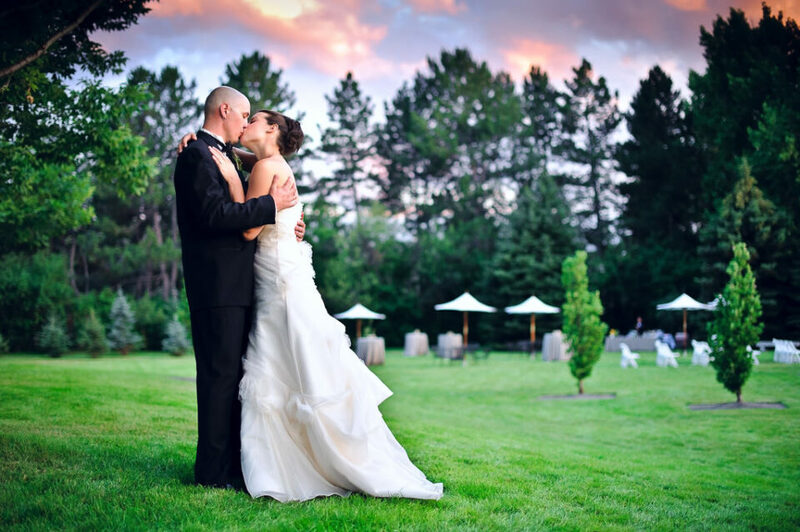 There are several ways to focus and recompose your shots. Let’s go over each method and look at its advantages and disadvantages. Please keep in mind that I am assuming that your camera and lens are set to autofocus. The below instructions will not work in manual focus mode. The first, and the easiest way, is to set your camera to Single Servo or “AF-S” mode. When your camera is set to Single Servo mode, it will only acquire focus once when you half-press the shutter button. While leaving the focus point in the center, point your camera at your subject, lock focus by half-pressing the shutter button and waiting for the camera to confirm it (either by a beep or by the green dot/indicator inside the viewfinder), then recompose and take a picture. If your camera refuses to take a picture, it means that it is set to “Focus” release mode. Just go to the camera menu and set it to “Release” in AF-S / Single Servo mode and it should be able to fire no matter where you point it. This method works great on most cameras, but it requires to have your camera set to the Single Servo / AF-S mode. If you shoot with an entry-level Nikon DSLR, then the default AF-A mode should also work great, as long as your subject is not moving. If you want to be able to lock focus in any autofocus mode, see the next method. Almost every DSLR, including entry-level models, comes with a button on the back of the camera that is dedicated to locking the camera exposure and autofocus. 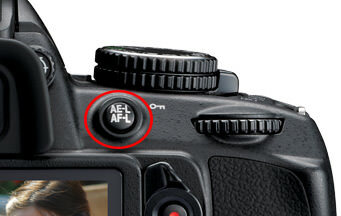 On Nikon DSLRs, this button is called “AE-L / AF-L” and it is provided in every camera model. By default, the button is programmed to lock both exposure and focus, which would work great for the focus and recompose technique. Without worrying about which autofocus mode your camera is in, you simply focus on your subject by half-pressing the shutter button, then after focus is confirmed, you press and hold the AE-L / AF-L button on the back of the camera while continuing to half-press the shutter. Then you recompose your shot and take a picture (continue to hold both buttons). Doing this will achieve two things – your exposure will get locked and will not change (which can be very useful when photographing people in challenging light) and your focus will stay on the subject. The only thing you have to make sure, is that this button is actually programmed to lock exposure and focus. On some camera models it might not be able to do both. On all Nikon DSLRs, the AE-L / AF-L is set to do this by default. However, if the above method does not work for you, you might have to look at the menu settings. See my “Nikon AE-L/AF-L button” article for more information on this. The last method, which I personally prefer over the first two, is to program a button on the back of the camera to acquire focus – a technique known as “Back-Button Focus“. By moving the focusing function of the camera to this button, you eliminate the need to half-press the shutter button when acquiring focus – the shutter button is only used to actually take pictures. This works great for me, because I do not have to constantly think about pressing the Autofocus lock button or being in Single Servo mode. On top of that, I do not have to keep half-pressing the shutter button, which I might accidentally fire. And it works great for focusing and recomposing your shots. Again, all modern DSLRs can do this. If you have a high-end Nikon DSLR, you will have two buttons on the top right side of the camera rear – “AE-L / AF-L” and “AF-ON”. The “AF-ON” button can be configured in the camera menu to move the focus function to it. First, make sure that you are in a single AF mode – you should be able to move the focus points in your viewfinder. Next, go to Custom Setting Menu, Autofocus sub-menu, then find the menu item “AF Activation”. Change it to “AF-ON only”. Once set, try half-pressing the shutter button – it will do nothing. But as soon as you press the AF-ON button with your thumb, the camera will start acquiring focus. The setting is located in a different place. Go to “Custom Setting Menu”->”Controls”->”Assign AE-L/AF-L button” or to “Setup Menu”->”Buttons” and you will see an option that says “AF-ON”. Just choose that option and press OK. Once done, test by half-pressing the shutter button first – it should not attempt to acquire focus. Next, press the AE-L/AF-L button and the camera should start autofocusing. If you have a Canon DSLR, see this article from Canon on how to do this. I hope this article was useful for you. Please let me know if you have any questions! You are most welcome Usman! Yes, it is true that the center focus point is the most accurate – and not just on Nikon DSLRs, but on all others as well! for the 3rd method (using the AF-ON method), dont you have to shoot in AF-C?. This way you can avail the benefits of AF-S (press and release the AF-ON button once you have acquired focus) by focusing and recomposing and also the true AF-C benefit of keeping the AF-ON button pressed while tracking a moving subject…true? You want AF-S, 3D AF Mode, you can just hold the button down once you acquire the subject and move the camera all you want…the AF will track the subject as they are moving. I have the Nikon D750 and used your 3.3 suggestion of the AE-L/AF-L rear button to focus and recompose. However I noticed a flaw using this method when using “auto ISO”. 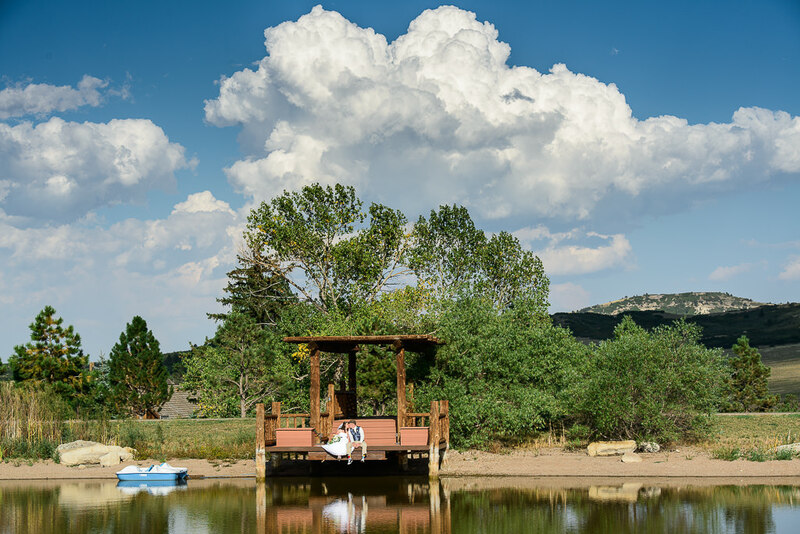 Although the focus works, the “ISO” changes when you recompose. You can test this by setting the camera to “auto ISO”, focus on a dark main subject then move the camera to a lighter background as you recompose…notice the “auto ISO” changes. The best method when using “auto ISO” is to use the shutter button pressed half way to focus, then use you thumb to press the AE-L/AF-L button to lock the exposure and focus. This was one of the earliest techniques I ever learnt – and it’s a wonder that I read so little about it. Recomposing is something I do all the times and doing it almost without thinking about it. It’s also the reason I almost always use AF-S mode. The technique is almost totally fundamental to portrait photography. And not to mention the rule of thirds… it’s a natural. Thanks for posting – I hope others make this a natural part of their photography. With AF-C when you recompose the focuse can change, or you should be really fast. If you are not using AF-Lock better to use AF-S from my expirience (I use D90). Nice tip about the AE-L/AF-L button. I enjoy reading your articles and eagerly await anything new from your blog that will show up in my mailbox. The simple reason being that every article is explained so nicely for anyone to understand and does not have the ‘Rocket Science’ language. This was a pretty interesting read. Thank you very much. Thanks for all of your tips and articles, always appreciated. Red, thanks for pointing it out – that’s a good tip! How do you lock exposure on the D600 if you assign focus lock to the AE-l/AFL button? I’m currently using the Fn button to lock exposure. I tried half-depressing the shutter button to lock exposure but the images were not as correctly exposed as with using the Fn button. However, if anyone has other suggestions for locking in exposure, I’m all ears. Thanks Nasim for your always informative and well-written articles and your dedication to answering so many questions and comments! Interesting article. Also my first time to hear about the center getting the best light and focus capability. With the left focus problem with the D800, this may explain some of the problems people are getting into. But if people use the focus and shift technique (what most of us old timers use), you will never discover if you have the left focus issue. As you rightly pointed out, you need to be aware of the problems with this method. 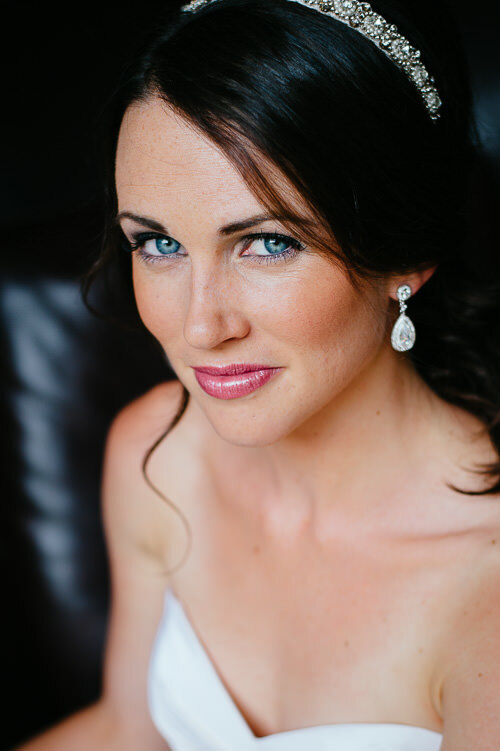 Use an 85 lens wide open for head shots and the front eye you focussed on will be back focussed every time. If you can guarantee all your focus points are in alignment with the centre one, focussing on an outer focus point with wide to short tele lenses, will produce a sharper image on a lens used wide open. I use this technique frequently with my 85mm f/1.4 and can say that, with some practice, you can virtually eliminate the problem you mentioned. :) You just need to be aware of how focus zone moves when you recompose and compensate accordingly by moving your own body very, very slightly. After a while it’s a very natural process. I see you have mastered the leaning back a little technique. Whilst I appreciate what you say its a great shame in hi tech age of cameras we have to resort to guessing how far to lean to correct our cameras. Its about time manufacturers took a leaf out of Hassleblads true focus compensating facility. I suppose the argument is we give you multiple focus points instead, but as we have seen from the recent D800 posts, all the focus points are not aligned with each other so they are virtually useless and we end up using the centre point without the advantage of Hassleblads true focus. Very useful article, but also I think you need setting the camera in release priority instead focus priority. Angus, only if using the AF-S mode method. All Nikon DSLRs by default are set to release in AF-C mode. Thanks for noting it though, I appreciate it! Thanks Nasim for this helpful article. When recomposing, I use the 3D tracking AF. I focus using the middle point and slowly move the camera to another focus point without using AE/AF button. Do you think this is a smart technique or accepatable? Can I still use it to put my subject in an area where there are no focus points in the frame? Thanks. Biho, 3D tracking works well in some situations, but I do not think I would trust it for this particular situation. The point of using a single AF point, is to be able to pre-focus in a particular area of the frame – whether it is the subject’s eye or some other object. 3D tracking chooses where to focus for you, which can be a mixed bag…some recent DSLRs with face tracking can do a decent job tracking faces, but what if you want to focus on something else? I choose the focus point just like on single-point AF, and 3D tracking uses colours to stay on that subject when I recompose. You can specifically see which AF point it’s using at any given time as it’s lit up. It’s not as if it randomly picks what to follow. You still pick – initially. The question is how well the system follows that subject. In areas where colours merge together it can sometimes get confused and end up tracking a completely different subject. The D600 doesn’t have a AF-ON button. not sure about the others you mentioned. I believe the manual for my D800 says that if you use the AF-ON vibration reduction does NOT operate. I prefer back button focusing, but I am concerned about that. Remember also that VR is engaged (the VR process that works during the exposure) when the shutter release button is fully depressed. The pre-exposure VR that stabilizes the image in the view finder is activated by half press of the shutter release or with the AF-ON button in some bodies as Mr Mansurov pointed out. That VR process (VR before mirror rise) has no impact on the actual reduction of camera shake during exposure. VR is then reset and re-centered as the shutter button goes to full press….that VR process is what reduces the effects of camera shake and does not require a half-press of the shutter release to be effective. Not sure if it works the same with non Nikon lens. Excellent article and thank you. One Note: In the article you say…..
With my Nikon D7000, when AF-S is set to “focus” priority, focus must first be locked before an exposure can be taken. The focus locked condition then stays confirmed and a picture can be taken at any time (pointed anyplace) as long as your don’t let go the half press (which then turns off the green light). There is no need to set AF-S to “release” priority for focus recompose to take an exposure unless you let go of the half-press of the shutter release button during the recompose and lose lock. I hope I said that correctly. If I’m in error I apologize. Nasim, Google isn’t discontinuing feedburner. They’re only killing its API and ads service. Feedburner is here to stay, just not as dominant. Very good points. To be honest though, I’m not a big fan of feedburner either. I’d much rather subscribe using WordPress’ default RSS2 or Atom. I’m never a fan of using any third party service. I trust Google a lot more than I trust Facebook. And interestingly, more people feed their personal info Facebook than they do Google, but that’s another discussion for another day. Btw your caching mechanism is a bit too aggressive. These comments don’t appear unless I refresh bypassing cache. So If I am to understand this correctly about the AF/AE button. If I set it to AF only, I can can press the AF/AE lock button, release my thumb and it will stay focus locked until I release the shutter. I have a D7k and was under the impression that I had to keep the AF/AE lock button depressed until I released the shutter, and that I could only release the AF/AE lock button when using when set to AE only. David, I do not think I stated anywhere that you need to release the AE-L/AF-L button – you have to keep it depressed until the shutter is released…sorry if I was not clear on this. Typical me, rushed in to ask a question only to find someone in a post further up has said the same thing. The thing that bothers me with my camera is, why would you set it to AF lock only, if you have to keep the AF/AE lock button depressed until you release the shutter? You would never do it this way. You would just use the shutter release button, the way I do it now. Have you ever tried to keep the AF/AE lock button pressed in and the shutter release at the same time? It’s not easy. Btw if you shoot in studio at f8 and above, recomposing isn’t an issue. If you’re out and about shooting lifestyle/portrait and wide open, this is a seriously problem if you’re a pixel peeper like me. I’d rather recrop in post and lose a few pixels than missing focus. I have a question about your article, hope you can help me out on this. I have a D7000 using the prime lens Nikkor AF-S 35mm 1.8G with that additional switch M/A-M on the left side of it. When I tried to use Option 3, setting the auto focus on the AE-L/AL-L button, the focus is working fine. But when trying to shot the picture I get the error r14 displayed and I cannot take the picture. Only when setting the switch on the lense to option M, I can take the picture. But then I have to switch back to M/A to focus again. Did I miss anything to set in the configuration? On my Nikon D5100 you have to half-pressing the shutter button in order to activate the VR. This is not a must for other newer Nikon DSLR as far as I know. Otherwise, thank a lot for your articles. Good article, and informative (nice info about phase-detection and the center of the camera, etc.). Wouldn’t it just be easier to manually focus? That would let you have good focus and still maintain composition. Great article! It’s a shame that the internet is full of gear reviews but not so much with actionable information about the photography techniques. I am personally still using Nikon D40 that only has 3 AF points, so I have to rely on Focus-and-Recompose if I want to achieve a non-trivial composition. I usually chose single AF point in the settings and move between one on them to chose the closest to my focus point, then focus and recompose. I’ll be looking forward to more articles like this one that could improve the photography skills without investing in high-end gear. Thank you for this web-site and your time and energy spent providing all of us with these information. I do very much welcome this. A lot of times the topics on mansurovs are too elevated/too advanced/too aloof for beginners. And why not bring an article about D3200 for instance? The first few month I was reading a lot at mansurovs. But then I realized, that everything is too far away from where I am in fotography. I lost my motivation to invest time for things I can’t , or in case of post-editing for things I dont want, use. But when talented guys you bring more such useful basics stuff like “focus and recompose” and camera reviews which are interesting for beginners, I surely will be around frequently again. my first SLR has been the Nikon F60, with only a single AF point on the center and a relative wide viewfinder respect to the focusing area, so I had to learn it very quikly :). * AF-C, so to enable to “quickly track” little changes in my subject focus, and the shutter button half pressed to activate the AF. * and I press the shutter button. I find this method very good for subjects that moves a bit, and that remain within the “focusing area” when I’ll shoot the final press. Having the AF set to AF-S will expose me to not trak important movements. For example, I use this technique in macros, when the slight wind randomly moves foliage or flowers. Sometime I revers the AF/AE button, assigning the AE lock (hold) to it and tracking the focus changes using AF-C. But all of this has worked with my D70s. Now I would like to buy a D600, with a bigger sensor and framing area, that have the center of the frame clustered of AF points but not so may ad on D7000 near the edges. Is there a technique I could use when shooting to moving subjects, like in street photography, and I want to recompose also? Do you think the only method to have a sharp focus on the subject would be to close a bit the aperture? I’m an amateur photographer (sometimes I do also some “pay” services, but I live from another job) and I shoot the most of time stage events (theater and concerts) as well as social and company events. I shoot mainly with a D800 and the 70-200/2.8, sometimes with the 200 f/2, even with extenders. My hardest challenge is always to get the best focus possible, and it’s not an easy task. Photographing actors and musicians could seem not particularly difficult, as they don’t move so fast as Formula 1 cars or MotoGP Bikes, but in effect is a though task, as they move comparatively slow, but ERRATICALLY and continuously. So, when I shoot musicians, actors or dancers, I can’t recompose, because in the meantime I move to recompose the subject, it is located at a different distance! So I’m obliged using the AF-C and try choosing the AF point closer to the subject; this involves the fact that in the most of cases I need to chose the most external points, in order to focus the subject in the eyes, without wasting space on the frame. In fact if you focus the subject’s eye with the center AF point, 99% of cases you get almost half of the composition …. empty! BUT external AF points are frequently less light sensitive that the center one, and this involves the fact that sometimes you get the AF System “hunting”, which is almost normal in such a low light conditions, as those you could find on a theater’s stage. Definitely the stage photography is a continuous “fight” with the (poor) light you have and with your AF points and system. Having shot with several Canon and (currently) Nikon cameras, I can say that the D800 is really a significant improvement in terms of AF capabilities, due to its ability of correctly focusing in very very low light also with the external AF points; on this respect it’s much more reliable than the D3, D300s and D700. I hope Nikon will further improve this important feature of the AF System, in order to allow the best focus on moving subject also in extremely low light, when you don’t want or you can’t use the flash. I have appreciated a lot your technical article and if you have any suggestion related to photographing on the stage, mainly for the Focus management, I will strongly appreciate. Thanks a lot and nice shoots. Did you receive the e-mail that i sent to you earlier today? I am not sure if it went through. 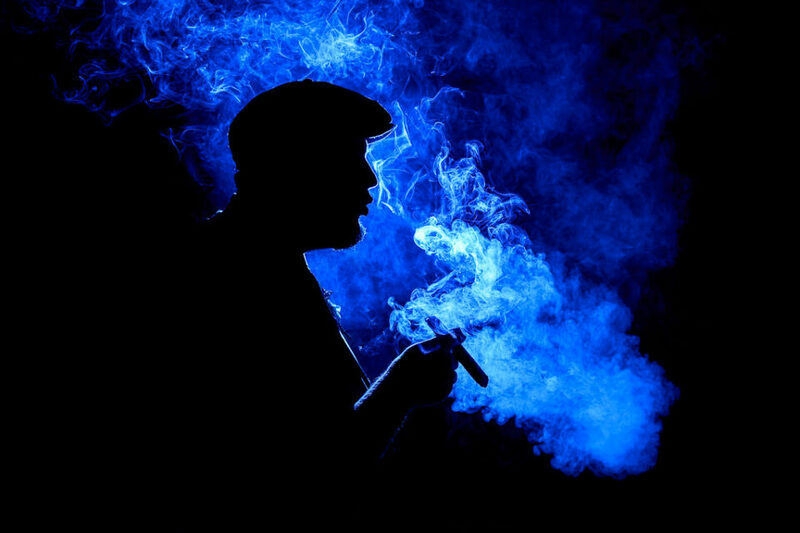 I know it is a Neandrathal perspective, but I was actually disappointed that the lead photo was not a spectacular, candid, jazz club capture but a posed shot with a flash fired with a blue gel. Call me naive and unappreciative of art as that which is on the wall before us, but I cannot help but recalling that phrase from Keats -“Beauty is truth, and truth beauty, that is all ye need to know on earth and all ye need to know”. Things get rather muddled. Still, great shot and I wish I had grabbed it in some smoky jazz club with someone else’s gelled spots. Keep up the good work. What do you do about AE-L though when you have it set to the AF-on? is there a setting to set the AF-on to also lock the exposure? Thanks for the article Nasim, I’ve been using this method since the landscape workshop and really enjoy the freedom having the focusing of a shot separate from the shutter release. Nice post thanks Nasim, I particularly relate to the problems focussing in low light (even with focus assist light on) when I’m shooting the first dance at wedding receptions. Your articles consistently make my photo work more professional and enjoyable. I had no idea you could activate AF without a half-press of the shutter, the AF-ON technique has done wonders for how I hold the camera and the number of photo’s I get in focus. This season especially I’ve done a ton of outdoor shooting, and the AF-ON AF is much easier to do with gloves on. Thank you very, very much for all your concise and well written articles. I am using a D90 and switched my AE-L/AF-L button to focus my camera. However, I had problems with the shutter release. I found the only way to release the shutter when I wanted was to set the camera to Continuous Servo Mode. Is there a method to set the button to focus for Single-Servo Mode and allow shutter release at any moment and still use the Continuous Servo Mode for it’s intended purposes? Custom setting->Autofocus-> AF-S priority selection to Release mode. Even though I had kept all my setting in the above mode, when I press shutter release button half-way still camera is focusing. I pressed AE-L/AF-L button and I see camera is focusing. Why is it my camera is trying to focusing when shutter release button is pressed half-way. Could you please let me know your thoughts. I had the same problem as you — but I solved it by changing from AF-S Mode to AF-C Mode. I tried by changing to AF-C mode, by pressing shutter half way I see camera focusing (dot) in viewfinder. How can we differentiate AF-ON with normal operation? Is it something wrong with firmware? I think that your problem might lie in the AF Activation option in the Autofocus Menu. The second is AF-ON only. You must select the seconf choice; i.e., AF-ON only. If you do this, your AF Activation Menu option will say “OFF” in the right-hand column. If you select AF-ON only in the AF Activation option in the Autofocus Menu, and, if you keep the AF-C Mode selected, as per my first e-mail, then you should find the following features that you are looking for. First, focus will be activated when you press the AE-L/AF-L button. Secondly, focus not will be activated when you press the Shutter Release button; i.e., the Shutter Release button will have no effect on focusing. Thirdly, focus that you acquired when you pressed the AE-L/AF-L button will be maintained when you take your finger off the AE-L/AF-L button. You are amzing person I am veryyyyyyyyyyyyy impressed from you.And thanks alot. Your tutorials are all very helpful. I am learning so much from you sir! Thank you very much! I use the AF On button on my D4 all the time, and it works perfectly for re-composing photos, and works very well with Bird photography, andother situations. I love the very first picture on this post where the girl with the blue dress is standing against a wall with the street blurred in the background. Can you tell me what lens you used for that? I have an APSC-sensor camera Nikon D5100 with 35 f1.8g lens. I am wondering how can I create that same picture with the girl. Can I use the 35mm or do I have to buy a new lens? I understand bokeh, aperture and all these terms. right now I am figuring if I should get a new lens. Also, is the AF-On button just a substitute for half pressing the shutter button? Would you please write article about Focus and Recompose Technique for manual lenses? I’m using D7000 with CZ 1,4/50mm. Very interesting topic, I’m a d600 user and was wandering can the same be acheived by just assigning AF lock only with the AEL/AFL button on the back & shutter half press for AE ? When focus is locked on D800E, should the green focus indicator light always stay on until shot is taken / shutter released? I am noticing soft images and I am thinking I was not focused properly? I see the green indicator light come on, I press shutter 1/2 way but the green light does not stay on, should it stay on until I release the shutter & take the shot? Thx! Still trying to find out this answer, please respond. When focus is locked on D800E, should the green focus indicator light always stay on until shot is taken / shutter released? I am noticing soft images and I am thinking I was not focused properly? I see the green indicator light come on, I press shutter 1/2 way but the green light does not stay on, should it stay on until I release the shutter & take the shot? Thx! AF locks when u press AEL/AFL and AE locks when u half press the shutter! Am I right on d600? The green focus light will only stay on while you are pressing the AF-ON button. It will go off if/when you take your finger off the AF-On button. This will be the case whether you are in Single Servo shooting mode or Continuous Servo shooting mode. Therefore, if you take your finger off the AF-ON button once you have focused on a certain spot, the green light will go off, but the focus will remain at that spot. This will be the case whether you are in Single Servo shooting mode or Continuous Servo shooting mode. Whether you are getting soft images depends on what you are trying to do. If you are focusing on one spot with the AF-ON button and then taking your finger off the AF-ON button and then recomposing your shot, the camera will not refocus on the new spot where you are pointing the camera when you press the shutter release button. This will be the case whether you are in Single Servo shooting mode or Continuous Servo shooting mode. This means that the spot where you focused will be in focus, but the spot where you pointed the camera when you took the photo will not. A good example is if you have two people standing side by side with a space in-between them. If you focus on, say, the person to the left with the AF-ON button and then take your finger off the AF-On button and then point your camera at the blank space in the middle, the green light will go off when you take your finger off the AF-On button and the space between the people will be soft/out of focus in your picture. This will be the case whether you are in Single Servo shooting mode or Continuous Servo shooting mode. If this is not what you want, then you must do two things. First, you must set your shooting mode to Continuous Servo. Secondly, you must keep your finger on the AF-On button all the time even while you are pressing the shutter button. This will ensure that the camera is focusing on the spot at which you are pointing the camera at the moment that you press the shutter all the way down to take the picture. This is because, in Continuous Servo mode, the camera will recompose when you point it at a new spot, so long as you keep your finger on the AF-On button. If your shooting mode is Single Servo and you keep your finger on the AF-On button all the time, the green light will stay on, but the camera will not refocus when you press the shutter all the way down to take the picture. In this situation, keeping your finger on the AF-On button all the time will have no effect on focus at the moment that you press the shutter all the way down to take the picture. All that it will achieve is that the green light will stay on all of the time –but the focus will remain at the spot where it was in the first place when you set it with the AF-On button before you recomposed. The key to understanding all of this is whether you are in Single Servo shooting mode or Continuous Servo shooting mode. In both of these shooting modes, the green light will go off when/if you take your finger off the AF-On button. If you are in Single Servo shooting mode, keeping your finger on the AF-On button will keep the green light on, but will have no effect on focus when you recompose and press the shutter all the way down to take the picture. In Continuous Servo shooting mode, keeping your finger on the AF-On button will also keep the green light on, but the camera will refocus wherever you are pointing it while your finger is on the AF-On button. Whether I press the AF-ON or the shutter 1/2 way down, my green focus light does not always stay on. Even if I continue holding the AF-ON button, all I get when I hold either the AF-ON or the shutter 1/2 way down, I get a flash of a green light then it goes away. My green light does not constantly stay on? Then there is something wrong with your camera — because, if you have acquired focus with the AF-ON button and you do not take your finger off the AF-On button afterwards, the green light focus-confirm button is supposed to stay on all the time until you take your finger off the AF-ON button. The same applies if you acquire focus by pressing your shutter hallway down. If you have acquired focus with the shutter release button and you do not take your finger off the shutter release button afterwards, the green light focus-confirm button is supposed to stay on all the time until you take your finger off the shutter release button. Mike, you have said something in your last post which might explain your soft images’ problem. You seem to be saying that you can acquire focus with the shutter release button and with the AF-On button at the same time. If this is the case, then you are not using the AF-On button correctly. The whole purpose of the AF-On button is that it replaces the focusing capability of the shutter release button. You should be in the position where, if you press the shutter release button hallway, this will have no effect on focus. If this is not what you have got, then you need to go into your Autofocus Menu and find the AF Activation sub-menu. In that sub-menu, you need to select AF-On only instead of Shutter/AF-ON. Then, in your Main Menu, you will see that it tells you that AF Activation is OFF. This is what you want. Now you will see that, if you press the shutter release button halfway, this will have no effect on focus — and that the only way that you can acquire focus is by pressing the AF-ON button. This is what you want. If this is not what you had, this might well explain why you were getting soft images. Quick question if my camera is set on AF-On only, what happens if I want to snap away and the client moves slightly – do I have to re-focus for every shot, by pressing the AF button? This is KH from Malaysia. Giving scenario that I taking photo in a event that people are keep moving. If my subject is moving and I use AF-C mode, how do I recompose if I use center focus point? Or in this case I shouldn’t use center focus point? I just saw this image from a photographer of this wedding couple and they are sitting on a bench beside each other the picture is taken from afar so they aren’t up close. I would say medium size in the frame, and the woman sitting on the left is in focus and the man is blurry. In another shot the man is in focus and the woman is blurry. They are the same distance away from the camera, how was this effect created? I have a Nikon D90, and when I set up the AE-L/AF-L button to AF-On, this method did not work. When I did my original focus and then let go of the AE-L/AF-L button, I would loose focus when I recomposed, and a different subject would be focused on. I did solve the problem though: I went into Custom Settings -> Autofocus -> AE-L/AF-L for MB-D80 -> then turned on AF-ON. Now everything is working as it should. How strange is that? I don’t even own the MB-D80! I have a Canon t4i. I’m very beginner. I was playing with some settings during a wedding (low light) and things were great. But then it changed, now my camera will not take a photo in focus in low light. I don’t understand what happened. I even tried it in manual playing with shutter speed iso and aperture (after reading ur blogs). I can get enough light, the object gets very crisp when the camera is focusing but the “focused” image is very blurred. Im hoping this is a setting. It did get bumped very lightly before this happened. I would think it could withstand a little bump. Did I break it? 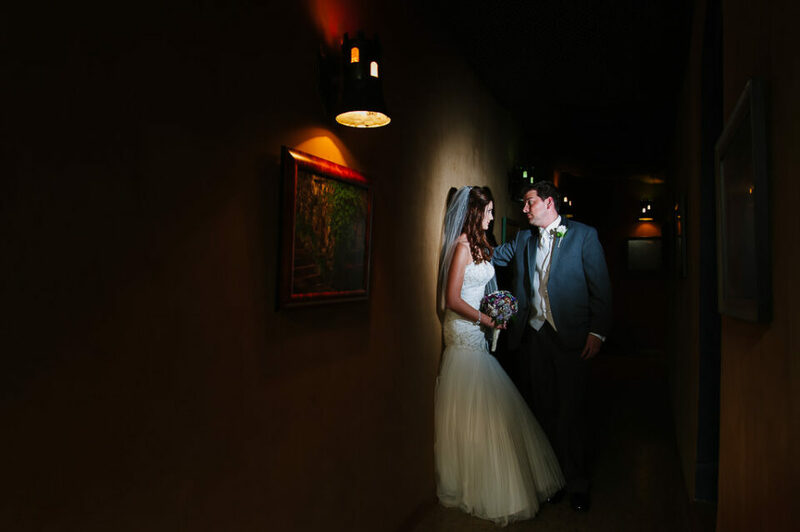 It takes great pictures in regular lighting situations or with a flash. Even in automatic in low light it takes an unfocused picture. great article! but i believe u left out some crucial information! im not 100% sure of this about all Nikons but i do know for a fact that both the D800 and D7000 must be set to release Priority when Using the BBF (Back Button Focus) method, when focus and recomposing. If the AFS Priority selection is set to its default of “Focus” the camera wont fire whenever recomposing happens! you must change it to release priority when using BBF, furthermore with the lower end cameras such as the D5000 it is possible to set the AE/AF Lock button to be AF On, but there is no menu option to switch to release priority! this essentially makes BBF useless on the D5000! Thank you!! I have heard that I should be employing the focus and recompose method. I have researched what this means. But so far everything I have read gives tips on focusing and then just says, “then recompose.” What does that mean?! That is half the equation in focus and recompose! So I was SO excited to come across this page which walks me through the complete process. THANK YOU! with back button focus set up on my camera, will the exposure still be read from the shutter release button, or will it be read from the back button? If I focus on the subject using the centre focus point alone and recompose, how does this affect exposure? By default will my camera work out the light change?/how should it be set so that it does correctly expose following recomposing? Press and hold the AE-L/AF-L button. This locks in the exposure at the focus point and maintains the setting when you recompose. Of course, if you’re working in manual exposure mode, it doesn’t matter :-) The only issue with focus/recompose is if you’re shooting with a fast lens (f/1.4/f/1.8) at or near wide open. When you recompose, your chosen subject may well be out of focus. But if i got in pdf version,that will help me reading the topic,think about this,like other sites( like photzy) if the auther publish it in the form of pdf format,thats helps a lot,& being a pdf file we can download dat easily & can read any time..
hi Nasim, great article ..
but i’ve question, how to perform focus & recompose method with manual focus lens ( i.e Carl Zeiss lens ) on modern camera body ??! ..
Hi Nasim, I’ve been using method #3 to focus and recompose for 3 years. It’s very “educational” in the sense that it forces you always to think of the composition, what should be in focus and what not. I’m shooting with a D90 using AF-S, single point, CL 3fps, AE-L/AF-L button set to AF-ON. I press and hold the button, recompose, and fire. Since last firmware update, however, the camera refocuses after each shot. Is there any setting i could use to tell the camera not to focus between shots in continuous drive? I’m sure no one will read this (since it’s such an old article), but if someone does, PLEASE HELP! I have a Nikon D800. I’m trying to shoot in Continuous Servo shooting mode using the AF-on button. The Single Servo shooting mode works perfectly, but when I switch to the Continuous mode (single focus point), hold down the AF-on button on the back, the green dot comes on, but when I move the direction of my camera to recompose, the dot disappears and the front/back focusing brackets keep jumping around? I set the menu for continuous to Release, then I set it to Release + Focus, then to Focus??? None seem to work. I hold down the AF-on button the whole time. Any help would be much appreciated. Thanks! Hi Nasim, thank you for this great article. My question is concerning the AF-on method for AF-s shots. My understanding is that once you focus and see the dot in the viewfinder you let go of the AF-on button recompose and shoot. But when i let go of the AF-button the dot keeps jumping as if it is out of focus, is that one should happen?. However for continous mode if a leave my finger on the AF-on button and shoot the dot stays without resetting itself. With the AF-On and recomposing, won’t the exposure change from the original focus acquisition to the final framed shot? Would engaging the shutter button to lock exposure make sense? set C1, AE-L? That way focus is locked with the AF-On back button and shutter locking exposure and taking the shot. i want to first of all thank you for giving such amazing tips and articles that are truly educating. i am a photo enthusiast who just upgraded myself from D200 to D810 which is a big jump and i am struggling with many features but your site has really helped with plethora of settings. However, i am still trying to understand the focusing issues while shooting video. Normally on video cameras auto focusing works well when i zoom in and out, however, i am having hard time doing that on D810 and every time i zoom the lens makes noise that my mic pics up. Please advise what is the best way to shoot as i have gotten rid of my video camera by Canon. When using this method, does it also lock the exposure or how do you deal with the exposure aspect after you lock the focus with the AE-L/AF-L button? In AF-S, if you have it set on focus priority shutter release, when you push the AF-ON button, it focuses, locks with a beep (my setting), and then if you want to recompose, you have to hold the button down until you take the shot, UNLESS the point where you are taking the recomposed picture happens to be in focus, then the shutter will release, it you’ve previously gotten exposure and released the button. But that’s a fluke, it generally will be out of focus, and won’t release — no picture at all. If you have “Release Priority” set, it will lock the focus, with no beep, and if you’ve let your finger off the button it will hold that original points focus, like it sounds like is your intention. I thought this is how the D800 worked too. The AF-C is a surprise. I have it set to focus priority. If I focus using the rear focus button, if I hold the button down, the camera is in continuous focus mood, and won’t shoot until it detects focus. Once I’ve obtained focus once, I can release the button, and recompose and it willhold the original points focus, but release if the point in the recompose pictures is out of focus. Just like AF-S really. So it seems like in focus priority mode, you can use AF-C like AF-S. If the subject is stationary, getting focus and releasing the button is like AF-S, with the release priory set. Continually hold the button, and you have continuous focusing, with focus priority. It sounds like you need to switch your Release setting to “release priority” if you want to use AF-S, get focus, and hold it after you’ve released the button. Great article. I’ve read a few write-ups on this, but this one is by far the most clear. Another advantage of this approach: If the camera’s DF gets the focus almost right but not quite, you can fine-tune the focus manually, with the focus ring. Which you could also do without backbutton-focus if you press the shutter halfway, but the concentration on not-pushing the shutter all the way distracts from the mental focus on the image. What would be for your settings in shooting eagles against a busy tree/leaf background, with using the Nikon D810 and 500mm F4 +TC 1.4? I am using manual focus 1/1600 sec, auto iso, af-on, 9 points, 11 points (not 51). The eagles are far, and often the focus points focus on the background and not the bird! Good article, Nasim. Thank you it was quite helpful. I have a general question related to using AF-on. If you use AF-on, and then let go and press the shutter button to execute the exposure, at which point does light metering occur? Is it concurrent with focusing, or does it instead happen separately at the “half held down” position of the shutter release button? As an extension of this question, could there be a similar issue with metering incorrectly because where you are framed when you focus has different lighting conditions than where you frame after recomposing, analagous to the change in focal plane? Metering occurs at the half-press of the shutter, however, if you have a seperate AE-L button, you can focus, lock exposure with AE-L, then recompose and shoot the frame. Alternatively, you could set your metering to manual, get it right at your focus point, recompose and then shoot. Hi Nasim, when we use the AF-on only button and focus on a subject and the recompose, how is the exposure set when using the Aperture/auto ISO mode ? I’m a beginner & I have Nikon D810 with (85 mm 1.4G prime lense) Why sometimes when I pick a subject to shoot and press the shutter it won’t take picture ? Hi Nasim, my Nikon D7000 seems to have acquired problem, or is it user error? I have been using BBF for awhile however now when I have focused, removed my finger, my shutter will not release. If I keep my finger pressed on the Af on button the shutter will release. This happens when on a tripod, not recomposing or when focusing then recomposing on or off a tripod. When not recomposing this isn’t a problem. I just keep my finger pressed on the Af on button. It’s when I need to recompose that’s the problem. It’s a pain however. I discovered this doing still shots at home on a tripod. No movement, no recomposing. My question is if I keep my finger pressed on the Af on button, acquire focus, recompose, will my original focus spot stay in focus? The Subject is not moving. Is this a camera issue or user error? I am set to Af C. I am set to release. I just went out and shot 9 month baby photos outside. He doesn’t move very fast if at all. I would acquire focus, remove my finger and recompose. Camera would not take then I would instinctively press the Af on button again. Out of focus. When I remembered to keep my finger pressed on the Af on button it would release but I can’t remember what I did when and have hit and miss focus. I have my camera set to Af C and release. And by the way really love you site and insight. Have you double-checked your focus mode settings? If you’re in AF-C with release priority, the shutter should fire regardless of whether it’s in focus or not. Refusal of the shutter to fire only happens when focus priority is selected and the camera hasn’t locked focus. This is the camera’s default setting for AF-S. Haven’t used a D7000 in a while, but the settings are very similar to my D800 bodies. amazing tips and articles Thanks! The best method when using “auto ISO” is to use the shutter button pressed half way to focus, then use you thumb to press the AE-L/AF-L button to lock the exposure and focus, the “auto ISO” will not change. I have my camera set to display the focus point in playback. When I use the focus/recompose technique described above, and move the subject to one side of the frame or away from the center, I notice that the focus point as displayed in playback is not the subject. The subject is clear and is obviously the subject of the photo, but the camera seems to default to showing the focus point as directly in the center of the photo. Am I doing something wrong or is this just what the camera does? I have a D850. I’m researching about my Canon 6D and diving deeper into the technical part of it and I’ve come to a question unanswered after a little research so I’m reaching out here for perhaps you can help me out on this one! I’m assigning AF lock to my AF-on rear button so I could practice ‘focus and recompose technique’ with ease. To be frank, I’m just dealing with theory here since I can’t use my camera hands-on for another couple of days so getting my hands on could answer my questions when dealing with theory here but instead of waiting to get my hands on, I’m reaching you(impatient, perhaps). it states(And also does 6D manual) that “AE lock is applied at the selected AF point”(when using Evaluative metering). The idea of assinging my AE button to lock and hold my metering sounds great, but also unnecessary when it is said to be applied to the focus point. So my question is, why should I bother assigning the lock hold to AE button, when I have assigned AF lock to my ‘AF-on’ button. I have never even changed my metering mode(always on Evaluative, but I’d like to experiment with different ones now as well). In what cases would I want my focus point to be different from my exposure any who? And if I would want my exposure meter to be different from focus point, as the manual says, is possible with every metering mode except evaluative, what use would it be if it states ‘AE lock is applied to the center AF point’. Maybe I’m getting too ahead of my self right now but I hope you could clear my head from this one! Thanks for the tutorial, Nasim. However, I don’t understand focus/recompose if I want to use back button focus in AF-S and AF-C. Do I focus, release the back button and recompose or do I continuously hold down the back button. Can you please post an article on this? It would be so greatly appreciated! On most full-frame cameras, the focus points only cover the central part of the frame, so you can’t always fit a focus point over your subject without using focus/recompose…..
Hello Nasim. Thanks for an in-depth and intelligent article on this topic. In addition to all the good points you make, I wish to raise a further item, regarding the connection between active AF points and exposure. My first SLR with autofocus was the Canon EOS 5 (1992). In those days the number of auto-focus points was very limited so I used the focus & recompose technique all the time. I got good results, especially regarding the exposure of my shots. I understood how AE-lock works, and would use it if required prior to recomposing – especially useful when using matrix metering programs. Fast forward to recent times when I started using DSLRs such as the Nikon D800 and D5. I try to use the focus & recompose techniques with these Nikon bodies, but it seems to me the exposure is almost always off (over or under exposed). 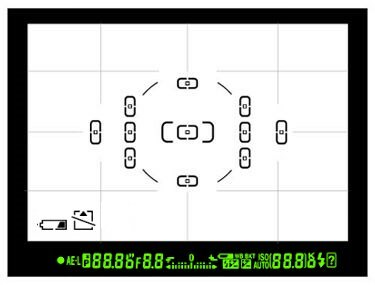 The Nikon documentation and tutorials suggest that the Nikon auto-focus system and exposure system are intimately connected. Exposure is potentially informed by which AF point(s) are active and which AF mode is in use, and this helps the camera identify the true subject of each photo and fine-tune the exposure program accordingly. It’s not clear to me how the exposure programs are affected if (a) you don’t use AF at all, or (b) you use AF but recompose after acquiring focus, thus resulting in a different part of the frame being under the AF point you used to acquire focus. Do you have any knowledge on how active AF-points can affect exposure programs (if at all), and how we can still get good results in those cases with focus & recompose?